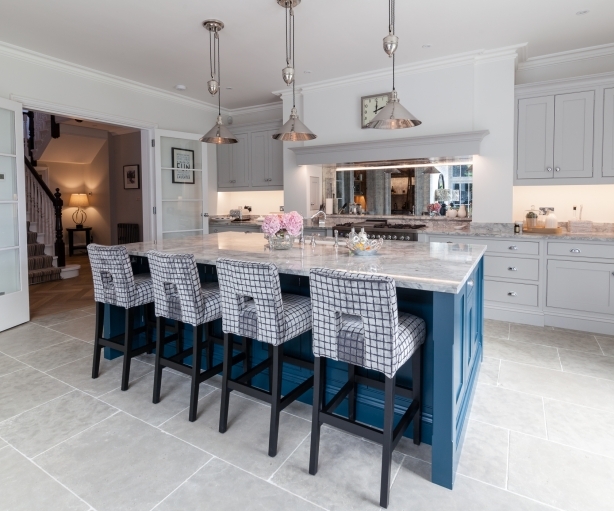 Hand-painted kitchen – We designed this hand-painted traditional wooden kitchen in keeping with the 300 year old property but gave it a modern twist. 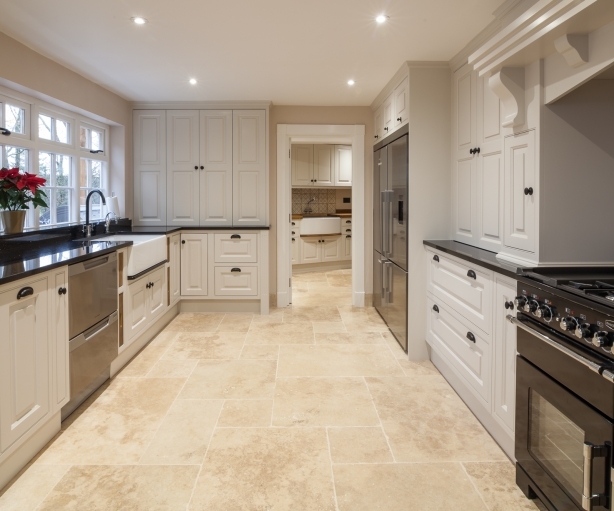 We were given sizes of the room, the specification of the appliances and a budget to work with. 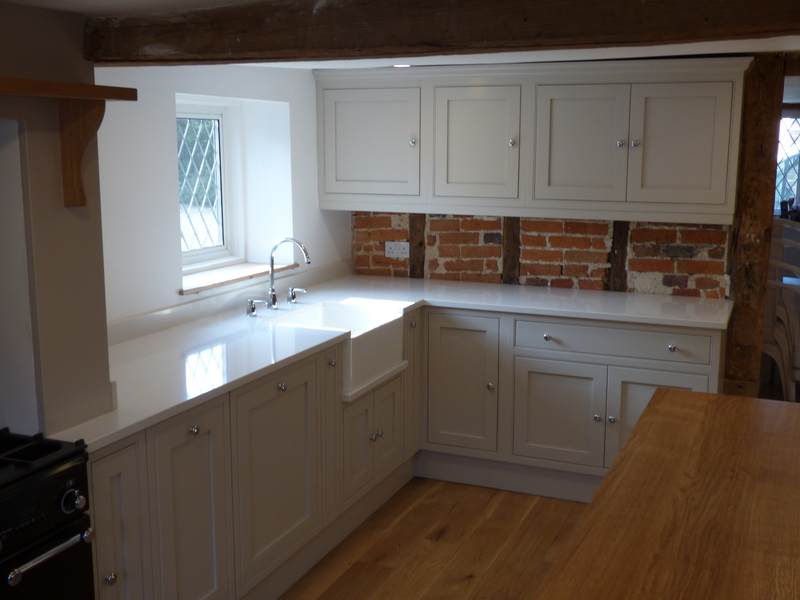 We installed a Belfast sink, quartz worktops, solid timber hand painted doors using the paint called Elephant’s Breath from Farrow and Ball. We also designed and handmade a large hand-painted island unit with 60mm thick oak work top – this was painted in ‘Mizzle from Farrow and Ball.